1. The purpose of this manual is to provide information for the design of liquid process piping. 2. Applicability. This manual applies to all HQUSACE elements and all USACE Commands having responsibility for the design of unit processes for treatment of liquids. 3. Distribution Restriction. Approved for public release; distribution is unlimited. 4. References. References are provided in Appendix A. 5. Scope. This manual is to be used in the selection of piping systems and materials for chemical and physical unit processes. Process piping systems include pipe and appurtenances used to transport fluids. Separate guidance has been provided for plumbing, potable water, sewage, storm drainage, fuel and lubricant systems. 6. Discussion. 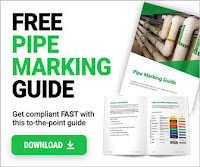 This manual includes criteria for the design of component parts and assemblies of liquid process piping systems. Compliance with these criteria requires that fundamental design principles are followed. Modification or additions to existing systems solely for the purpose of meeting criteria in this manual are not authorized.